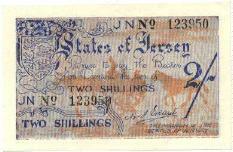 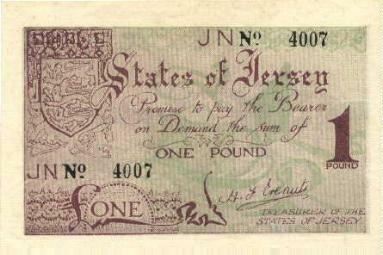 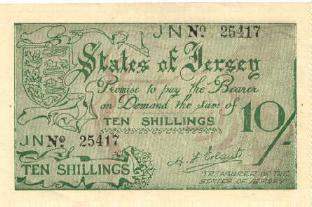 These banknotes were issued in the Island of Jersey during the German Occupation. 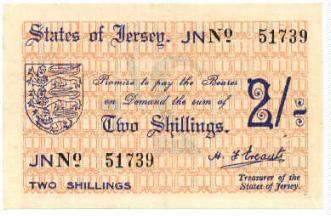 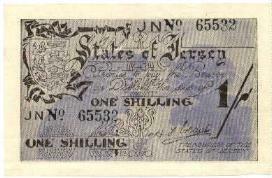 The first two shillings was issued in 1941 and the remainder were issued in 1942. 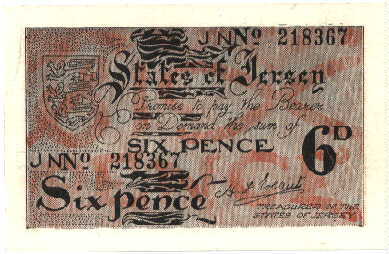 All the later notes except the sixpence have illustrations by Edmund Blampied on the reverse.